This post has no spoilers but pictures and references to seasons one and three if you want to know nothing! When the Short Blogger started watching sssSherlock, we thinks we would like it. But we changes our minds, maybe. It will see in our review. They writes it very well. Not as nicely as Tolkien, but we likes it. They make it all look pretty, yes, very pretty. How we see it, and move from place to place, and the wordses on the screen. They also mention us! It doesn't say our name right (we are Gollum, not Golem), but we doesn't mind. So we likes some things about it. But there is something we doesn't like too. Now we tells it about it. We hates Bagginses. Why is it in the show, precious? It should be in a mountain being eaten by a dragon! Go away, go away and leave us alone! It ruins Sherlock! Baggins! We hates it forever! And it mocks us in the show too. Look, precious! "Yeah, well at least I would, if I can get to my pockets!" Its...pocketses. What has it got in its pocketses? But that is not all, oh no, precious. Does it know what else Baggins did? It wears it! It gloats! It takes it all for itself and doesn't care if it breaks poor Smeagol's heart. Thief! Sneak! Wicked, tricksey, false! 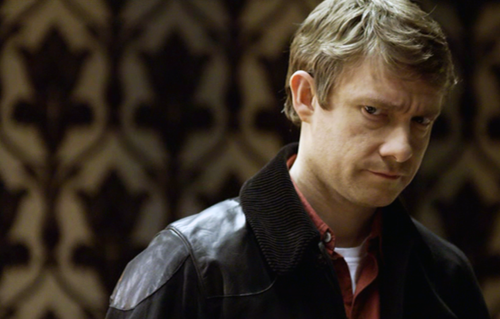 We all knows who the real Moriarty is, don't we precious. 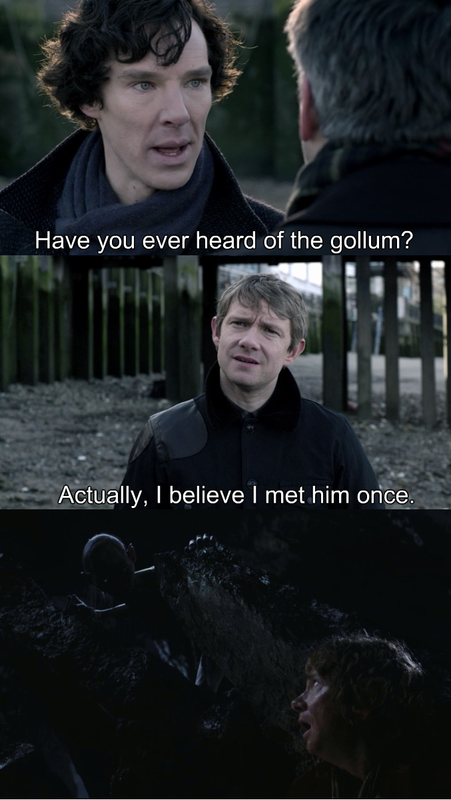 Smeagol doesn't like Sherlock very much after all. We wouldn't mind it if it weren't for Baggins. Yes, we wanted him to blow up by that nice pool, didn't we, precious. But now the show is gone for a long time, so Smeagol doesn't have to see him. We watches nice fishing shows instead. We hopes it likes our review and follows our warning about Bagginses. Loved this post. Gollum. Though I'm sure I disagree with lot of things you've said. Like not liking the Baggins, though I do prefer Smaug. Which episode did you like the best? Good one Gollum! You are as hilarious as always!And that first picture is hilarious! XD I suppose you haven't met Smaug yet, aka Cumberbatch. On a more serious note, season three of Sherlock was great wasn't it? Vellvin - We doesn't know why it would like Bagginses. It can do what it likes, but it should guard its precious around hobbitses. Smeagol would like Smaug if it burns Baggins for us. Our favourite episode..our favourite...we likes The Great Game. It has a nice pool. 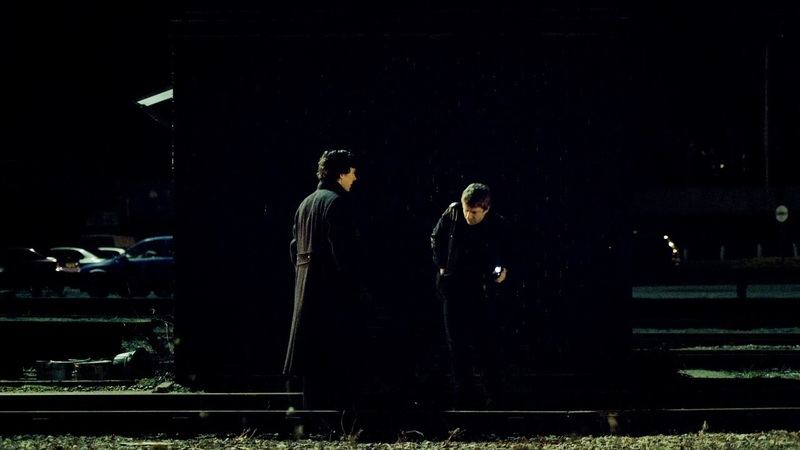 And The Reichenbach Falleses. It has riddles, and we likes riddles! James - We likes the picture too. Smeagol would not like to meet a dragon, no we wouldn't! But if Cumberbatches knows our name, maybe it is nice to us? No, series three was awful. Baggins stole our precious. And he has a nasty mustache. 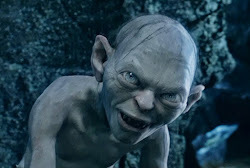 Yes, leave us a comment precious! We doesn't bite! Smeagol wouldn't hurt a fly! We has our own blog now! Oh yes precious. We lives in Middle-Earth. All over. Poor Smeagol doesn't have a home. Not anymore. No, all gone. We likes fissh and our Precious and we hates Baggins and nasty hobbitses. The Short Blogger (Arda)'s personal blog. Go read it, precious! She is our friend! Original pic for favicon from councilofelrond.com. Travel theme. Powered by Blogger.